A concert I played in 2005. Combining the instrumental influence of Ray Brown and Charles Mingus and the vocal styling of Sarah Vaughan and Ella Fitzgerald, jazz bassist and vocalist Kristin Korb has created a sound all her own. 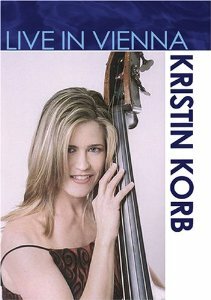 This concert was filmed in early 2005 at Vienna’s famous jazz club “Porgy & Bess,” and features a truly magically performance by Korb. The DVD also includes insightful artist interviews interwoven with the live footage making it the complete package for Korb fans worldwide.